Are you making some poster for activities, designing shape montage for birthday party? WidsMob Montage should be an excellent montage maker to turn everything into stunning mosaic photographs. It is a versatile photomontage maker, which can make stunning photo mosaic with thousands of images in high resolution. WidsMob Montage turns everything into mosaic photographs. 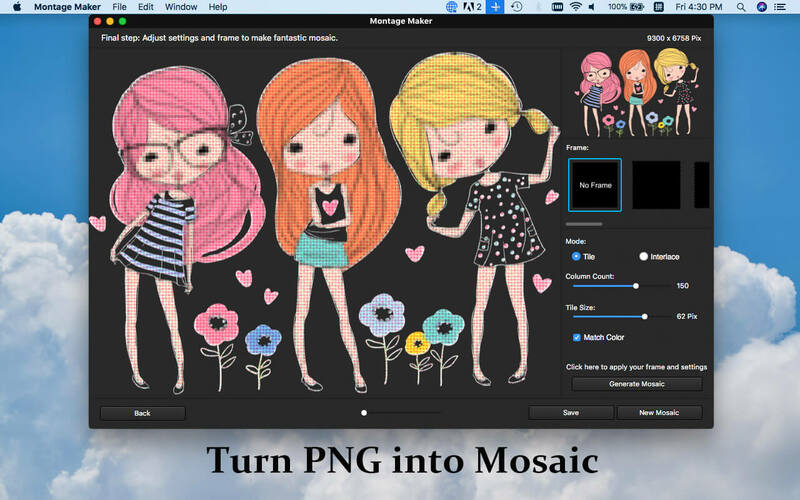 You can set both JPEG and PNG into mosaic, the program supports photo mosaic, tile mosaic, shape mosaic and other photo mosaic types. What is more, you can also design photo montage in shape according to any template. 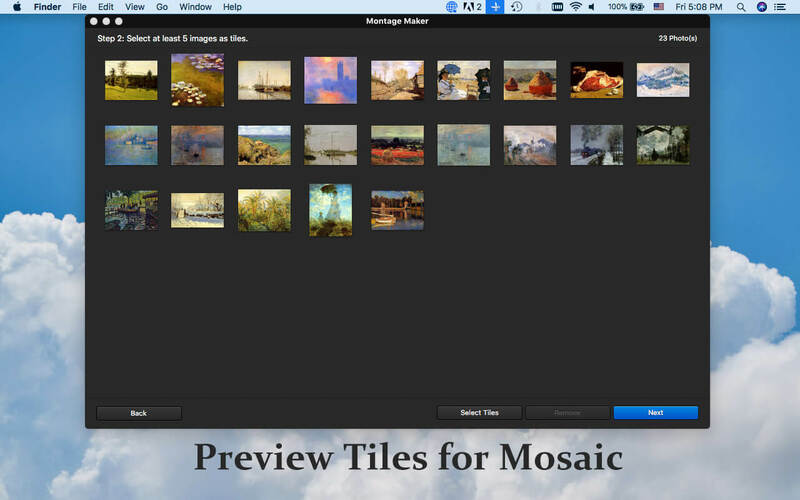 Whether you need to add special frames to mosaic, or use different mosaic modes, you can choose different frames to make the mosaic photograph special. 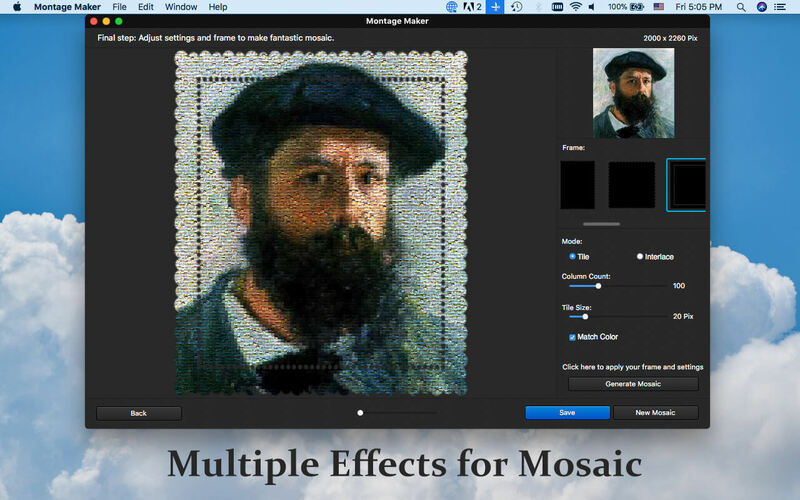 Both tile mode and interlace mode are supported by the program, you can get the desired effect with ease. How about the output of the photo mosaics? The program can combine more than 2,00 mosaic tiles in a breathtaking result, up to 16,000 pixels wide with unlimited pixels height for montage photos, the mosaic photo or photo collage can be used for mural, banner, desktop or even wallpaper. The program applies minimal colorization to closely match the original image and proper placement of tile images to present the optimal result. And you can also remove the color match to get a shape montage with any color. Copyright © 2018 Insmac.org All Rights Reserved.